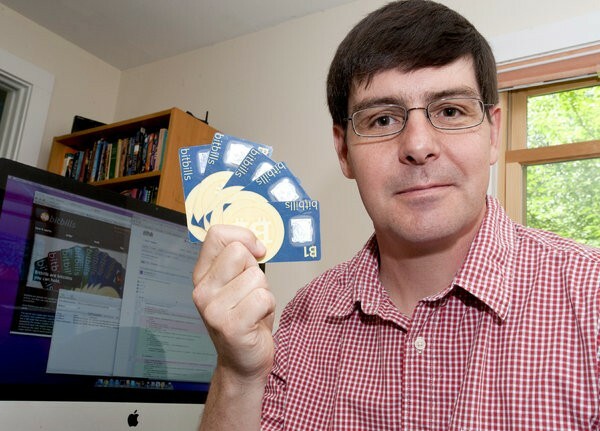 Gavin Andresen wrote this piece on his blog about alt-coins and several of the issues they create. As much as his concerns are valid, there is a different perspective where digital currencies of all kinds can compete in an open market to capture the most customers bases off of the greatest advantages they offer. This was presented in “The Denationalization of Money,” the magnum opus of Fredrick Von Hayek, Nobel laureate in economics and close friend of John Maynard Keynes. 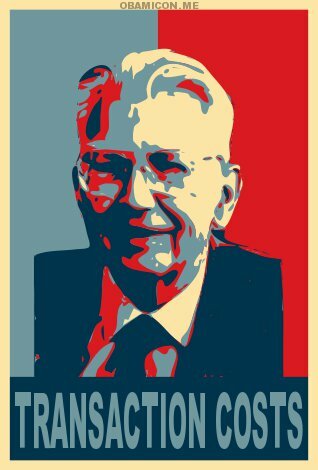 Hayek’s primary argument in this work was that through allowing the private issuance of currencies, banks would be forced to compete on the open market to have the most competitive currency. Below I am going to explore some of the concerns that alt-coins present and how they can be understood from the perspective that Hayek offers in the Denationalization of Money. Bitcoin has a significant advantage over other digital currencies with that it is the first digital currency, and no other digital currency is significantly different from bitcoin. With that being said, alt-coins not only help legitimize bitcoin as THE currency of the internet, but also help create a whole new digital currency economy, in which alt-coins can specialize, or succumb to market forces. “Creating gazillions of alt-coins seems to me to just be a way of getting back to an “inflate on demand” world. Not enough genuine Bitcoin money for you? No problem! Create a new alt-coin to produce more! As much as this concern is valid, I think we can see that his first point seems to be the direction we are heading. The value storage of the number of alt-coins in circulation vs. their price simply does not compare to bitcoin. There are more than 20 million litecoins today, with the total supply capping out at 84 million. LTC price in recent months has gone from $2.75 per LTC, to under $2. You can see that despite there being a total cap on the supply of LTC at 84 million, it is still is valued 30 to 40 times less than bitcoin, despite being a pretty good copy of it. This is because bitcoin has the first-mover advantage behind it, and thus has had more time to establish a market for itself. If bitcoin is doing such a good job, than why are alt-coins valued at all? 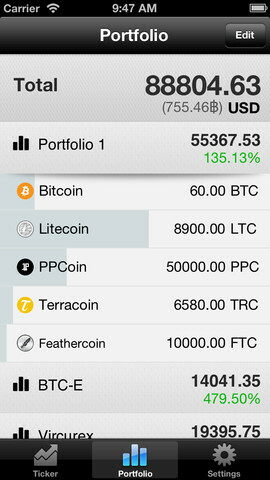 Each one has its own reason, so I’ll just use litecoin as an example for now. Litecoin has value most because of speculation, but it is also a good bitcoin catastrophe insurance, it has second-mover advantage, and it is the most liquid way to get out of bitcoin, but not back into another fiat currency. Personally I’m bullish enough on digital currencies to believe there will be a $10,000 bitcoin one day, and so are others like Max Keiser. Gavin hypothesized this may be part of the reason why alt-coins are around. 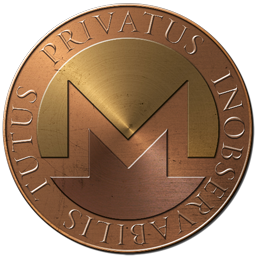 Maybe altcoins will be an important safety valve in some future crypto-currency-dominated world. Maybe if there is lots of economic growth and some technical reason prevents the velocity of money from accelerating to match the increased demand for transactions people will use alt-coins to fill the gap. And I think what Gavin is saying about the velocity of money is true. I believe this is the behavior that we are seeing with litecoin being used as a shelter during turbulent bitcoin times. Even if alt-coins were to become a threat to bitcoin, it would most likely be for a good reason. Perhaps mining centralization could lead to some issues down the line, or pump and dumps too frequent–who knows? Other than a faster block-time, and 4x the supply of coins, I don’t see any difference of advantage of using litecoin as a storage of wealth, or a mode of exchange. I do however see how it is useful as a short-term hold of wealth for shelter during turbulent bitcoin market periods. There are members of the /r/bitcoinmarkets is an example of a community that utilizes this technique. There is also ample evidence that this is also done on the Russian exchange btc-e.com as well in order to do ‘pump n’ dumps–where one inflates the price through rapid buying, and then dumps to collapse the price and buy back at a lower value. Litecoin may also become valuable as a mode of exchange. We can see that the recently closed online drug market place, Atlantis, accepted litecoin, in addition to bitcoin. Litecoin could very well bootstrap its way to become more valuable, similar to how bitcoin did with The Silk Road. Namecoin, Peercoin, and Primecoin all have there own unique features that one day may make them very valuable, but today that is not the case. As Gavin pointed out, these developers could focus more on their alt-coins unique features (which I’ll discuss in a separate post), but to simply have it be another bitcoin copy is little more than inflationary flack. There are always 51% attacks, and people simply not accepting alt-coins to solve that. I believe from seeing where we are at in this very new economic paradigm we are see exactly what we need to see: A few unique and well-differentiated alt-coins seeing limited success, along with the death of dozens of other more useless coins. When we look at bitcoin through the eyes of Hayek, none of this is surprising. Digital currencies represent Free Money, or money that has no monetary authority other than itself. This means that the value of digital currencies can only come from their intrinsic value which is established through the market. This is one of the reasons that bitcoin’s first-mover advantage is so important–it was the first digital currency to gain a wider following and create market legitimacy, thus it has the largest market cap of all digital currencies in circulation. This also helps explain why alt-coins do have some limited success. Because they still have the same money function that bitcoin has, which is more efficient that fiat currency, that can be used to give them value. Yet, because there are fewer people accepting alt-coins today, nor do they differentiate from bitcoin greatly, many of them are still highly-speculative prospects that have gained little traction because of this lack of differentiation. Hayek’s theory on free money found in the denationalization of money helps explain why digital currencies have value. This theory also helps explain the complex market relationships that allows for some currencies to keep and hold value, while limiting the success of others. It will remain to be seen how successful alt-coins will become, but it is most likely that because of bitcoin’s first-mover advantage that it will always remain the primary digital currency. With that being said, alt-coins will always be needed in the market for bitcoin catastrophic insurance, and to act as an alternative mode of exchange. John gray is a premier political philosopher, and formerly a lecture at the London School of Economics. His erroneous essay on Bitcoin deserves a philosophical reply. In the following I will refute John Gray’s assertions on the functions of money and benevolence of the state, in addition to displaying that he speaks from a place of anointed authority with a misunderstand of what the concepts of digital freedom and liberty mean. It is my hope that through refuting John Gray that I can offer a framework for understanding the maxims of Digital Freedom and thus digital currencies themselves. A Golden Dawn, the neo-nazi part of Greece, having a rally. His error is in assuming that crisis has been averted. It is clear when looking at the big picture over the last five years, we can see that crisis has not been averted, but rather it has been mitigated for the current point in time. The Bank of England’s Governor stated that he believe that the current depression is worse than the Great Depression of the 1930s, and the data supports this. Greece unemployment is greater than the U.S. had at the peak of the great depression, and they also in the 6th year of their Great Depression. It is no wonder that just like in the early 1930s that we are seeing the rise of Fascism in Europe again with Gold Dawn–the Neo-Nazi Party of Greece–which is now the third largest party in Greece. Many other European states are not fairing much better. Italy is clearly floundering, with a -2.4% economic growth for 2012, bail-out being likely in the next 6 months, and having their prime minister convicted of tax evasion, and then evading even the very ruling banning him from politics–corruption is an issue that cannot be understated. This is also an issue in Spain where the prime minister and his People’s Party are under fire for allegedly accepting cash payments from construction firms. This is on top of the economy having a projected unemployment of above 25% until 2018, the largest protest ever for an independent Catalonia, and 20% of the economy going black. Let me remind you that this is a nation that tore itself apart in a civil war during the 1930s because of economic problems, it is not fantastical to think that it could happen again. Perhaps the only accurate part of this statement is that money is steadily losing it’s value. This is due to the policies of Japan, The U.S., and The E.U. all engaging in ‘quantitative easing,’ which is a sophisticated word for expanding the money supply. Japan is trying to double their money supply to achieve a rate of 2% inflation ‘as soon as possible,’ and the U.S. has tripled their money supply since 2008. This may have helped combat the obvious deflationary forces that have been present since 2008, but this is akin to jumping out of the frying pan only to find yourself in the fire later on. I believe that we will see stagflation starting 2016, and with the global economy already doing this poor, it shall create massive political pressure that will go unheard again. This is an assumption that should display Mr. Gray’s rudimentary knowledge of how Bitcoin and the internet functions. It has not been ‘hacking’ itself that has caused for the volatility of bitcoin prices, it is simply with the market growing and trying to establish itself. Some of the major bitcoin heist did temporarily effect the price, but to believe that it is the cause of volatility would be inaccurate. When you have such a small pool of wealth that is being dealt with (the market cap today is around $1.1 billion total–not just in circulation), it means that any shift of more than a few $100,000 is going to move the market quite a bit. If you moved more than $10 million into any currency on the ForEx market it would not even be noticeable–it would be a drop into the financial ocean. His whimsical notions of how cyberspace functions should be more than enough to inform us that he does not understand how the internet works. First, war is an act of violence in its totality–violence simple cannot exist on the internet. Period. Calling viruses, worms, and hacking ‘warfare’ is a disservice to those that have died under the bludgeon of warfare, and creates a fundamental misunderstanding of what is occurring–violence is not one of them. Through allowing this ignorant idea that ‘war’ exist on the internet, Mr. Gray has endorsed the violence that the state brings to people like Pvt. Manning and Edward Snowden who have done no actions of violence whatsoever. The internet in itself is a place of intangibility and human expression–that is the bases for the very code the the internet is written upon, and the functions that the internet carries out. Ideas, intangibilities, concepts, exchanges of information, and knowledge–that is what the internet is in all of its forms–nothing more and nothing less. It is from this very place that programmers of the 21st century have found themselves asking the same questions as the legal philosophers of the 16th century–in a very different light however. The freedom of the internet is derived from the freedom of actions which one can do on the internet through the functions of the code that one is using–the code itself is a tool, a tool to help create these expressions and communications over the internet. Programs based upon this same form of logic that philosophers are subject to, hence why it is called logic. It is not surprising then to discover that with the building of the foundation of the internet that small community of cypherpunks found themselves discussing principals and values like freedom, privacy, and sovereignty. It was from these discussions that the question of assurance came up: How can we be assured that our privacy is safe? We cannot trust someone else with our privacy, or else it would not be private, so how to we negotiate that? The answer to this question was math. Mathematics offer us statistically assurances that if we are to use a cryptosystem, such as a PGP key, or Bitcoin, that the statistic capability to break hash function is very, very, if not impossible hard to do. Thus, we arrive at a system of privacy that offers the mathematical assurance of privacy–not the lies of men sworn to protect these privacies. Armed with this knowledge, this same community that was just a bunch of ‘punks’ became the vanguard of the internet privacy and freedom. From their deep thoughts to the question of liberty and government violations of that that The Declaration of Independence of Cyberspace came from. It was clear almost 20 years ago that the Internet was too powerful for megalomaniacs of governments to let it be. It was also clear that the defense of the internet was going to be needed and it is for the same reason that the Electronic Freedom Foundation was founded. Even back in 1995 it was clear that the freedom of the internet could not co-exist with the oppressive governments of the world–either the internet would be free along with the world it connects to, or it would be limited, choked, and exist only at the whims of those in the halls of power–just as our societies exist today. With the true extent of NSA spying today still unknown, I believe it is clear to see who is winning. As nation-states are clamping down on the freedom of their citizens and the internet across the globe, people are finding solidarity within that principal itself: The freedom of the Internet. I am shocked and horrified to hear a scholar advocate for the tyranny of governments–popular or not. Simply because Adolf Hitler and Benito Mussolini came to power through legitimate means and because a majority of citizens would willing have other citizens taken to the gallows for false promises of liberty does not excuse such actions in any way, shape, or form. Totalitarianism, Fascism, and Authoritarianism all have a deep and powerful appeal, particularly in times of great uncertainty. It is akin to the power of having Demi-God come to you and say, “Give me the power to kill and work outside of the bounds of the law–for I shall give you peace in our time.” It was these very feelings that caused for the the untold deaths of tens of millions of innocents during World War II–a horror that we cannot, must not, and shall not ever experience again. What men like John Gray and his masters do not realize is that this is the beginning of the final push for a global liberated single humanity. Those that are Digital Natives understand the power of the internet and how it has, and shall continue to change the world. Digital Natives see how much closer we are to one another than we are to the elites that run run own respective nation. Our counterparts in Greece, Egypt, China, and the world over, that are struggling with the political oppression in their nation is the same struggle as our own. They are our brothers and sisters of the world, and fellow citizens of Cyberspace. It is with them, not the John Gray’s of the world that we shall find liberty together. We have moved into a world where those who hold economic and political power do not understand that which we are creating together in the Great Common known as Cyberspace, and so they seek to destroy the freedom we have created here. Because they do not understand us they have sent swarms of regulators to eat out our substance and subjugate us to laws that far outside of our jurisdiction. Because of their own stupidity and certainty of that stupidity that they have doomed themselves to fighting a war which they cannot win. That is a war with freedom itself. This is not the glistening banner of shinny, pretty freedom that American politicians speak of, but true, unadulterated, messy, freedom. The freedom that is not just a promise, but a rule. One that is blind and unbiased, that functions from maxims and not opinions, and is of rules, not rhetoric. It is from this idea of advancing economic freedom from a categorical imperative that we are able to see the power of the federated cryptosystem that Bitcoin is.